Made by Indian company, Dabur, Shilajit Gold is a male enhancement supplement that claims to boost energy, vitality, and health in all areas of life, not just the sexual arena. Based on the principles of Ayurvedic medicines, Shilajit Gold is a unique combination of herbs and minerals designed to improve stamina and vitality while bringing harmony to all your bodily systems and improving your general quality of life. The Dabur website has a product page devoted to Shilajit Gold. It’s quite informative in its explanations of the formula and what you can expect from it. The rest of the website is also a wealth of information about present-day and historical Ayurvedic medicine and how you can benefit from it. Shilajit is extracted from Himalayan mountains, and is known to contain 85 minerals. In clinical testing, shilajit has been shown to calm anxiety, improve cognitive function, and slow down both physical and mental aging while lifting vitality. Gold increases strength, vigor, and vitality as well as cognitive functioning. Alkushi promotes strength and mass in the body. Ashwaghanda promotes general health and supports the healthy functioning of the nervous system. Safed Mushli is an aphrodisiac to increase sexual inclination. Silver is rejuvenating and promotes strength. The recommended dose is 1 to 2 Shilajit Gold capsules per day taken preferably with milk, and the expected results are overall strength and vitality, though there is no indication as to how long it might take to achieve these results. 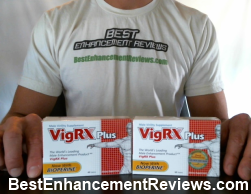 It has been clinically tested for safety, and no significant side effects have been reported. It promotes general health and vitality. Ingredients are explained on the website. Most of the ingredients are unfamiliar in the western world. 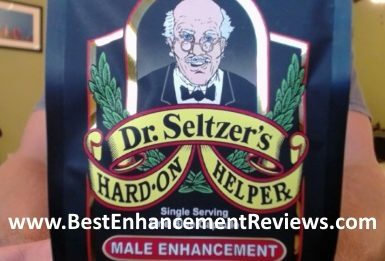 There are no ingredients that specifically address blood flow, which is important for erectile dysfunction. There is no money-back guarantee. supplement retailers, and prices vary widely. It is common to see a 10 capsule package selling for about $10 to $12, but look around for your best deal. If the idea of Ayurvedic remedies is intriguing to you and your goal is more about general wellness and vitality than improved sexual performance, then by all means, try Shilajit Gold. But if what you really want is something to combat erectile dysfunction or something with a very direct influence on your sexual life, there are better choices you can make. How long should I take Shilajit Gold for? Is there any effect on blood pressure? Will it make me bigger? Thanks! According to several sources, you’re supposed to see the best effects from Shilajit Gold after about 3 – 4 months of taking it. As for blood pressure, I’ve heard that ashwagandha can actually lower it. This may be a bit dangerous, though, if you’re already on medications to control BP. As for whether or not it will make you bigger, not a chance. No pill will. If you want to get bigger, check out either an extender device called Phallosan Forte or a water based pump called the Bathmate.